The death of Alice Doucett of Mitchell occurred at the Campbellton Regional Hospital on Sunday, November 11, 2018 at the age of 93. Born in Jacquet River, she was the daughter of the late Peter and Bridget Ann (Joncas) Guitard. Alice is survived by her husband Austin, daughter Joan (Jean-Eudes) Parent of Belledune, as well as her granddaughters Natalie Parent and Stephanie Parent of Mascouche, Quebec. She was predeceased by her parents, sisters Eva and Gladys, as well as her brothers Ralph, John Bud, Leander, Paul, and Murray. 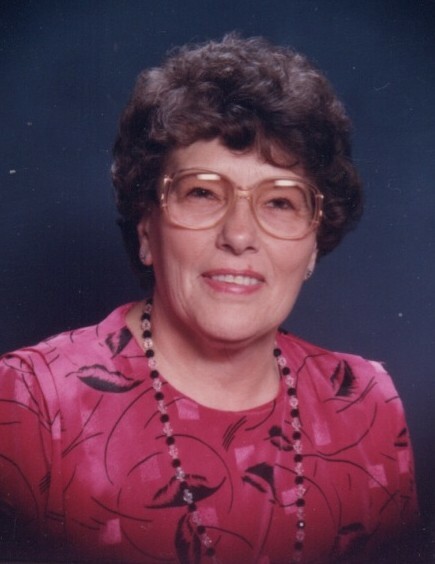 A funeral will be held for Alice on Friday, November 16, 2018 at 11 AM at St. Gabriel’s Church, Jacquet River, with a visitation on Thursday, November 15, 2018 from 7 PM until 9 PM at the St. Gabriel's Funeral Parlour. Funeral arrangements are in the care of MacMillan’s Funeral Home, Black Point.